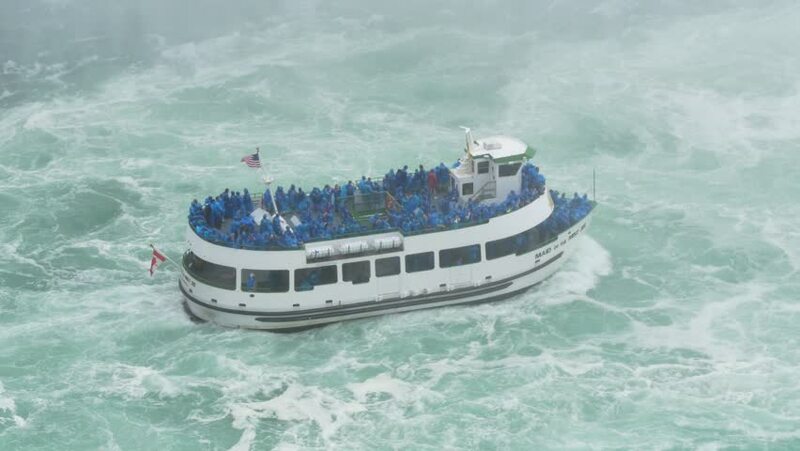 4k00:15NIAGARA FALLS, CANADA - Circa, June, 2014 - Tourists aboard The Maid of the Mist approach Niagara Falls. For editorial use only. 4k00:06Many Elite Yachts Are Moored in One Row. Yachts are very Luxury. The Sea is Blue and the Water is Clear. A Motor Boat Rides to the Harbor. 4k00:02Niagara, NY - May 28th 2017: The world famous Maid of the Mist VI tour boat makes its way upstream on the Niagara river with rainbow overhead to give visitors an up close view of Horseshoe Falls. hd00:09NIAGARA FALLS,CANADA-MAY 29, 2016: Maid of the Mist boat tour of Niagara Falls, New York, boat is transporting tourists inside the Niagara Falls on May 29, 2016 in Niagara Falls, Canada.